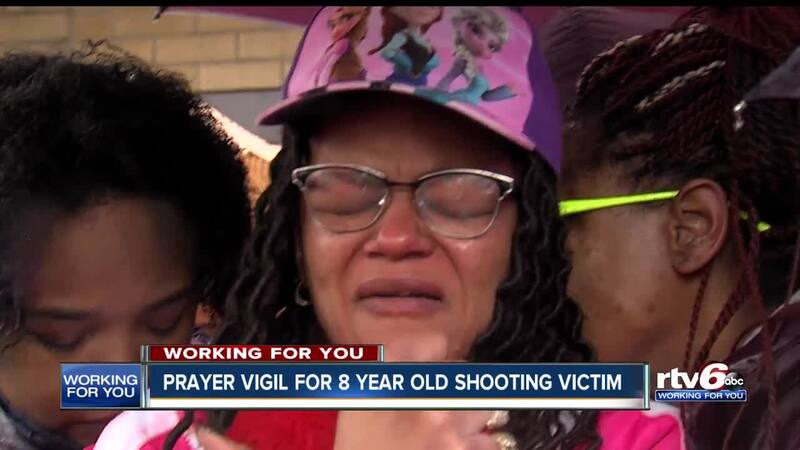 INDIANAPOLIS — Indianapolis Metropolitan Police Department Homicide detectives announced the arrest of Tiffany White - mother of the 8-year-old shot and killed - on Friday. IMPD officers were dispatched to the Indianapolis Fire Department station near East 38th Street and North Layman Avenue on a report of a person shot on March 24. The girl was 8-year-old Kendrielle Brye. Kendrielle, police say, was dropped off at the IFD station by a guardian. EMS rushed Kendrielle to Riley Hospital where she later died. White was arrested and charged by IMPD detectives on Friday for neglect of a dependent causing death, unlawful possession of a firearm by a serious violent felon, possession of cocaine and possession of a controlled substance. White has been transported to the main jail, according to IMPD. IMPD obtained a search warrant to the residence of the impacted family in the 5600 block of Culver Street and recovered potential evidence, according to an IMPD release. During the investigation, detectives uncovered evidence that shows Kendrielle did not shoot herself. Friends and family celebrated the life of 8-year-old Kendrielle on Saturday, March 30 with a balloon launch.